*Pack includes drum seat, sticks and headphones! 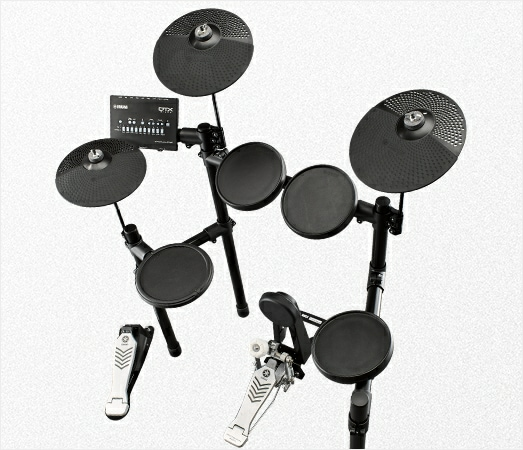 The Yamaha DTX452K Electronic Drum Kit offers unbeatable value and features. 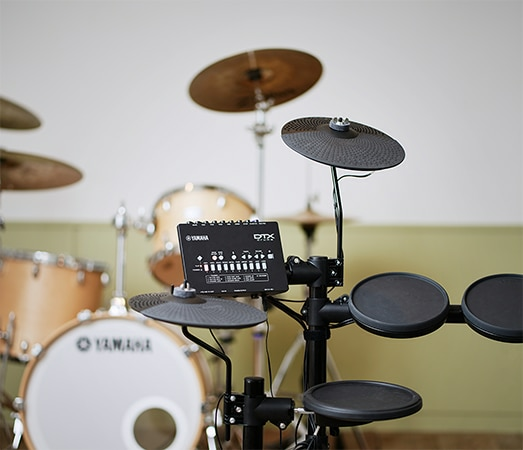 It features a kick pad and pedal, choke-able crash cymbal, 10 professional sounding drum kits, training functions, quick and easy set up, DTX402 Touch app connectivity and compatibility with Yamaha’s Rec’n’Share App! Powerful easy-to-use module with 415 sounds! Kick pad and kick pedal included! The training function together with the dedicated free app makes practising more enjoyable and provides musical training, allowing you to immerse yourself in the limitless excitement of drumming. The DTX comes with 10 built-in training functions. These include the Pad Gate, Rhythm Gate Function, Fast Blast Function, and Recording function to quickly asses your skills. Take advantage of this complete range of support functions to improve your groove and expression as a drummer. 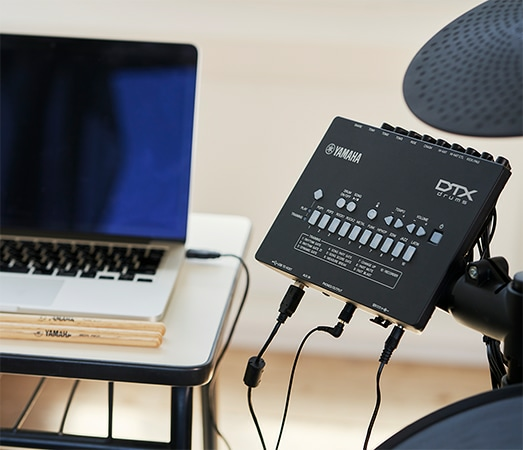 The free DTX402 Touch app allows any user to easily customize drum kits and take advantage of the training functions. The new challenges make practicing fun and help you quickly develop drumming silks with various genres of music. 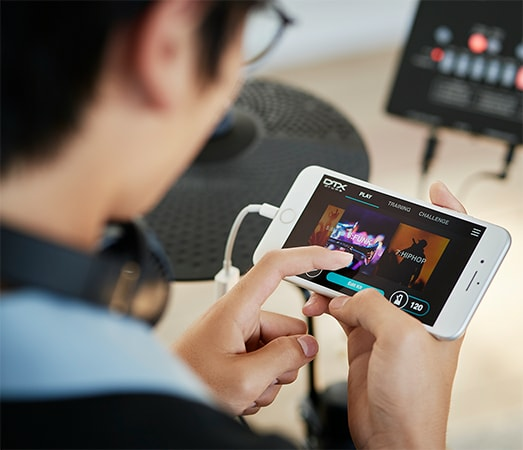 The DTX402 series also works with the Rec’n’Share app so you can practice and perform with your favorite music and quickly share on social. 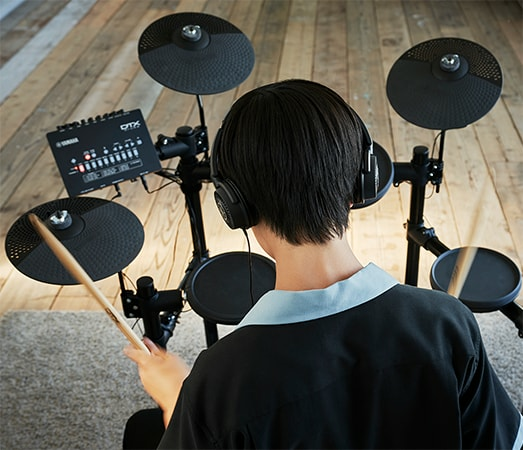 With a legacy rooted in excellence, Yamaha continues to be a leading authority in high-quality acoustic and electronic drums. Through years of experience, we have mastered the art of designing realistic drum kits with useful features and unmatched durability without compromising on aesthetic value. The simple design streamlines set up reduces the time and effort required for assembly and allowing you to perform almost immediately. The rack is made and sturdy steel with four vertical posts. It is also compact, lightweight, and foldable, so you can take it with you wherever you go.